DuWet was established by Randy Holbrook. He takes pride in being responsible for the business' daily management and operation. Hard work and honesty go into each of our quality-built swimming pools. All heavy equipment is company owned and to the homeowner buying the pool, this is important because it means no scheduling delays. 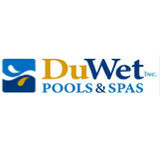 When you call on DuWet to build a pool, we will come to your home for a free consultation to determine your needs in a pool package. Next, you get an "up close and personal" consultation at our Office and pool showroom. You can be involved in the computer aided designing of your pool and you will be able to observe the actual on-screen design of your personal pool package. Our showroom is available for hands-on selection of many pool design ideas, pool tile & coping selections, pool and deck finishes and pool equipment choices. The showroom walls are filled with photos of our pools and spas. At the completion of constructing your new pool, we offer a poolside pool school session to review all you need to know to operate your new pool. We will leave you with a notebook of helpful instructions and warranty info. Xecutive Pools, LLC has a passion for swimming pools, whether construction and upgrading, to maintenance and service, we feel that we can meet all needs for your swimming pool in either residential or commercial properties Choosing our company, You will always be met with quality work by our great technicians and tradesmen. 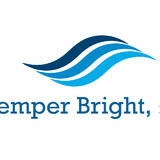 We take great pride in what we do, and always strive with integrity to be a industry leader. Xecutive Pools has a passion for swimming pools, whether it is renovating and upgrading, to repairs and maintenance. We feel that we can meet all needs for your swimming pool, residential or commercial. We take pride in our work and YOUR satisfaction. In choosing our company, you will always be met with quality work by our great technicians and contractors with amazing work ethic. We are the Bay area’s premier pool service company, providing quality pool care to all of Tampa Bay and surrounding areas. We strive for customer satisfaction by offering competitive pricing and professionalism that is hard to find. A pool is a big investment , whether it is built for a home or a commercial establishment. From the maintenance and repairs, to redesign and upgrade, to its finished aesthetic appeal, everything should be just right in order to justify the energy and money you will put into the project. Only consider Xecutive Pools with vast renovation and service experience, a track record of satisfied clients, and an emphasis on quality. Monkey Rock Pools specialize in providing swimming pool cleaning services to commercial and residential communities in Dunedin, Palm Harbor, Clearwater & surrounding areas. We also provide valuable web page information - how to "Do It Yourself" cleaning, preventative and corrective maintenance information to home owners. Including advice for pool products and accessories. Gulfside Pool & Spa Inc.
At Gulfside Pool and Spa, we offer hassle-free, honest, and guaranteed professional-grade, swimming pool cleaning, repair, and maintenance services to the Tampa and Greater Tampa Bay area. We take great pride in providing services backed by quality and integrity. Unlike some other businesses in the area, we won’t lie, cheat, or steal to get your business. We have over 30 years of experience in the industry and have seen every dirty trick in the book and refuse to play those games. We were founded on the basis of telling customers the honest truth about their chemical levels and equipment condition. We will never push services onto you that you do not require. To this day, we are known for our superior quality and for making sure that you are always satisfied. 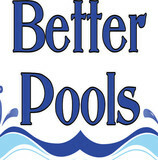 Pool Scouts of Sarasota is your go-to source for a perfectly clean pool. Our highly trained pool service experts are dedicated to maintaining crystal clear water and healthy swimming conditions so your pool is a happy place for you and your family to enjoy anytime. With Pool Scouts maintaining your pool, you can stop stressing about managing chemical balances and start slathering on the sunscreen. Our state of the art technology and best in class customer service offers a new level of professionalism and service in the industry. When we say Perfect Pools, Scout’s Honor, we mean it - 100% satisfaction guaranteed. Pinellas Pool Solutions offers pool service in St. Petersburg, Seminole, Largo, Clearwater and more. At Pinellas Pool Solutions we pride ourselves on providing outstanding pool cleaning services. Let us service your pool or spa today! Chlorine King will provide the most complete pool cleaning service in the greater Tampa Bay Area. Our primary goal is to keep your pool clean and safe so you spend more time in the pool and having more fun. Pools and hot tubs are great fun, but they also come with not-so-fun upkeep and maintenance. That’s where Saint Petersburg, FL pool cleaning services come in — leave the dirty work to the professionals so you can enjoy swimming and relaxing without a single worry. Whether you’ve got a leak, cracked tile or just need recurring cleaning, you’ll need a Saint Petersburg swimming pool repair and maintenance company that you can trust to get the job done right. What should I look for when hiring a pool cleaning service in Saint Petersburg, FL? Pools and hot tubs are big investments, so you’ll want to make sure to protect them by hiring an expert who cares about them just as much as you do. Check that the Saint Petersburg swimming pool maintenance service you are interested in actually specializes in the type of pool you have — chlorine and salt water pools have very different needs, and in-ground versus above-ground pools will require different upkeep and repair methods. Also, know who will be doing the repair or service; if it’s one of the larger swimming pool services in Saint Petersburg, FL, request that you get same person every time, otherwise you could get inconsistency in treatments. Good Saint Petersburg pool professionals will keep a consistent schedule and log everything they do so that it can be referenced in the event that you switch companies or something does go wrong. Like any other professional, look for local pool cleaning companies near you with plenty of good reviews and relevant experience. Find a Saint Petersburg, FL swimming pool repair and maintenance specialist on Houzz. Narrow your search in the Professionals section of the website to spa and pool maintenance companies in Saint Petersburg, FL and read reviews and ratings for pros in your area.